Dodger manager Joe Torre and his wife, Ali, have started a foundation called Safe at Home, with a plan to install "safe rooms" in Los Angeles schools. The safe room will be a place for students to meet with counselors trained in domestic violence, or simply a haven for kids to read or play. 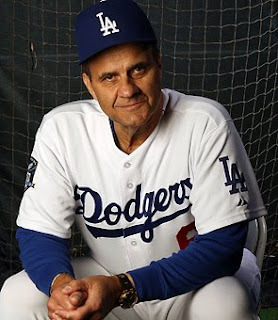 Joe Torre grew up in a home with a violent dad. I meet kids all the time in similar situations. Thank you, Joe, for bravely sharing your story. Thank you, Ali, for creating the foundation. And thank you, T.J. Simers, for writing it down.